Housed in a robust ABS case that contains 'Biomaster' additive that helps to reduce bacterial growth. Features a large, easy to read, backlit LCD display with open circuit 'Err' and low battery indication. Powered by three 1.5 volt AAA batteries that give a minimum of five years battery life. Power off automatically after ten minutes, maximising battery life. This feature can be disabled by the user, if required. Max/min memory function and a mode button for the selection of 0.1/1 °C/°F. 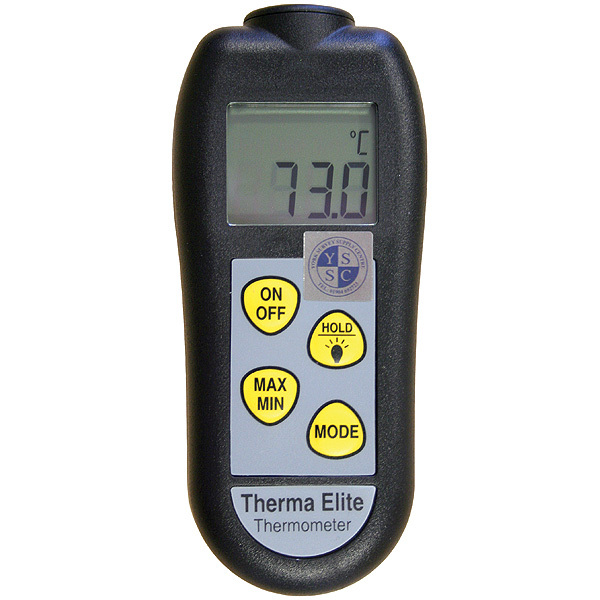 Calibration trim function (±2°C) which allows users to compensate for thermocouple probe errors.